Some first responder men and women are paired with their canine partner to operate as a team. And although the majority of public canine servants are usually large dogs, smaller breeds have also made the team as Police Officers, Military Soldiers, Search and Rescue, and Detectives/Detection dogs. Most people recognize public service dogs as K-9 units (police dogs) that ride in the car with their police officer handler/partner to fight crime. However, police dogs are bred and trained to operate on the federal, state, county, and local levels as guides, search-and-rescue, drug and bomb sniffers, and military soldiers. Due to the sensitivity and intricacy of their dangerous line of work, police dogs must all come from a strong genetic lineage specific to their needs. German Shepherds protect, attack, track and locate humans. Dutch Shepherds protect and attack. Belgian Malinois protect, attack, track and locate humans. Doberman Pinschers protect and attack. Most police dogs come from the same litter and inherited genetic makeup instinctive to their trained tasks. According to the American Kennel Club, the Departments of Defense and Homeland Security purchase up to 90% of their dogs from a majority of foreign breeding vendors located in Europe. K-9 units devote their lives to assisting their police officer partners. One of the most recognized disciplines of police dogs is the apprehension of suspects. When given their command, a police canine will run, jump or bite threatening criminals and hold them until their handler/partner tells the dog to release the suspect. In addition to having a calm and stable demeanor, police dogs must be able to maintain their cool and recognize when a person is a threat and alert their partner. Most importantly, police K-9 units do not attack or act autonomously. These furry coppers act exclusively under their handler’s command which is usually given in German dialect. Canine detectives are detection dogs trained to sniff out odors of illegal substances their handlers can’t recognize or see. These furry detectives are trained to detect narcotics and smells that are not detectable by the human nose. Marijuana, cocaine, methamphetamine, crack cocaine, heroin, and other narcotics can be detected by these doggie agents. There is no bypassing contraband when it comes to K-9 detection dogs. They can pick up drugs even when criminals try to dress them up with coffee or soap. The most recognized detective dogs are the detection dogs in airports and train stations used to find drugs, narcotics and other illegal substances and contraband inside suitcases or lockers. These dogs are picked for their endurance, aggressiveness, and egregious ability to pick up scents. Detective dogs have jobs in many areas of the government including but not limited to the FBI, Border Patrol, and Homeland Security. Hounddogs, Belgian Malinois, German Shepherd, Labradors, and other herding breeds are used for detection. However, smaller breeds have recently come to be accepted as great little detectives too. Canine soldiers are some of the bravest, most intelligent dogs in the world. They have been accompanying troops and other military infantries around the world for years. Because of their insatiable sense of smell, military dogs are trained to recognize bombs, narcotics, and track people. Just like K-9 units, military dogs are also trained to attack upon command and defend their troops. Fighting alongside their handler/partner, these dogs of war await patiently for hours at safe houses prior to initiating a strike against insurgents. Moreover, military dogs are able to alert their infantry of enemies nearing the camp, find and protect wounded soldiers and find improvised explosive devices (IEDs). Their bond with their comrade/handler is a bond beyond brotherhood. It’s one of unequivocal, unconditional trust and love. 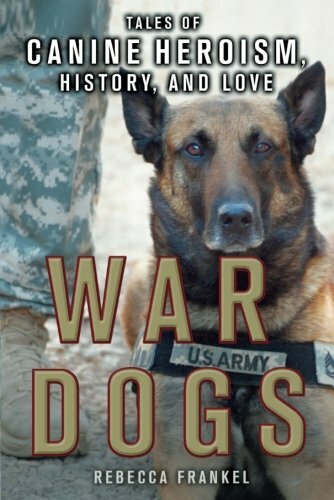 There are many books online about K-9 military heroes. Rebecca Frankel recounts amazing stories of military dogs in the United States. The most common military dog breeds chosen as soldiers are German Shepherds, Labradors Retrievers, and Belgian Malinois because of their inherited aggression, strength and endurance, and a keen sense of smell. The Navy Seals use Belgian Malinois. However, there are other breeds of little dogs who tend to lack recognition in their heroics. One such furry hero is Sergeant Stubby who saved the lives of civilians and his fellow comrades. This short brindle bull terrier mutt was a soldier of the 102 infantry during WWII. He was the first recognized canine hero who apprehended a German spy and saved his troop later from poisonous gas. He placed himself in the line of fire to rescue his comrades and became the first canine to be decorated with metals, given rank and promoted to Sergeant in the United States military. The National Museum of American History has a statue commemorating Sergeant Stubby’s heroism. 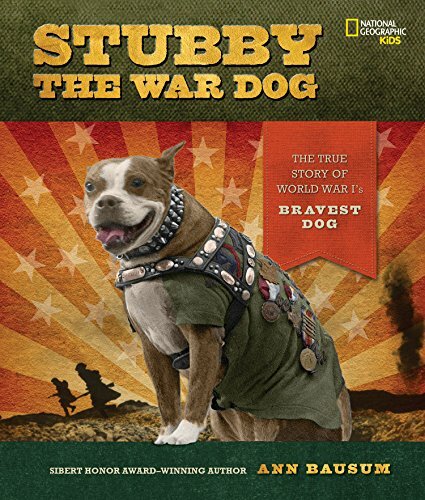 “Stubby, the War Dog,” tells the true story of the world’s first canine military hero. During natural disasters, when a person is missing or lost, first responder search and rescue teams comprised of law enforcement, fire department, and rescue organizations bring SAR dogs to perform two types of duties: Tracking or air-scent to help find victims and casualties. These canines concentrate on trails made of human scent by using and following their nose close to the ground searching and tracking integuments that have fallen from a person’s skin, clothing, etc. These dead cells can be tracked to locate where the person may have gone or been taken. Tracking dogs must start pursuing human scent where the person was last seen so they can pick up dead skin cells or any other evidence that may have fallen within the vicinity of the missing person. These canines work against time because the longer it takes for them to arrive at the area where the victim was last seen, the faster their scent is liable to dissipate. Tracking dogs are usually the first ones on the scene when prisoners escape or a child goes missing. Search and rescue dogs that point their nose in the air are sniffing to pick up human scent. They can pick up a scent anytime during the search and do not require to be taken to the area where the person was last seen. The scent these dogs pick up remains concentrated in the air which is carried out by the wind. Air-scent dogs are trained in diverse specialties which is what makes these amazing canines invaluable helpers during natural disasters. Search and rescue dogs are able to hunt for living humans buried under avalanches, buildings, and lost in the wilderness. These furry heroes have found men, women, and children alive and buried under rubble after devastating earthquakes. The saddest and macabre side of their job is during recovery. SAR dogs used in recovery are trained to identify the scent of cadavers, human decomposition and other odors associated with death on land and in the water. These dogs can also search for evidence such as materials bathed in the human scent which is helpful to identify a homicide. 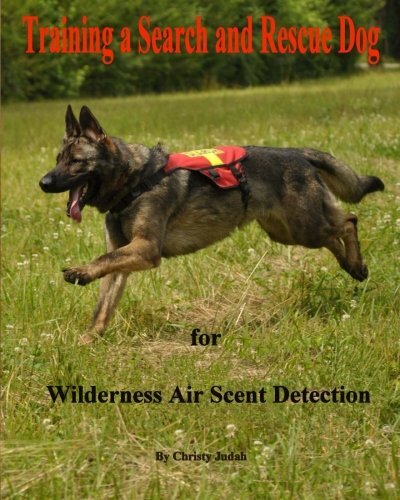 Christy Judah’s “Training a Search and Rescue Dog: for Wilderness Air Scent” introduces the basic necessary steps to train your dog and it has great reviews on Amazon. Just like humans, military dogs can also suffer from post-traumatic stress disease (PTSD). PTSD is most common in military dogs that have fought alongside their handler/comrade. Canine soldiers exposed to gunfire, explosions, and combat are likely to suffer recurring episodes of anxiety and revisit memories in battle. Canines diagnosed with PTSD will show signs of irritability, anxiety, may become hyper-vigilant, and may no longer be comfortable entering or being near areas or inside the buildings, they were once familiar and comfortable with. Other common changes in behavior are fear, shaking, and being afraid to be near a person they know or strangers. If the signs are severe, these furry soldiers may urinate, howl and become aggressive at times. Sounds may also trigger an episode. For dogs suffering from PTSD, it is recommended that they are provided a safe place in the home. Just like humans, they will need time to recuperate. They will need to be retrained slowly, controlled and be rewarded with each improvement. Medication such as Xanax and therapy are at times combined to treat dogs with PTSD. Part of the therapy is playing, exercise and fun activities that will help the canine relax and introduce him/her to a normal environment. These activities increase the levels of dopamine in their brain increasing the reward-motivator behavior that will help with their mood swings. When both handler and dog suffer PTSD together, they will both need to be treated together so they can help each other. 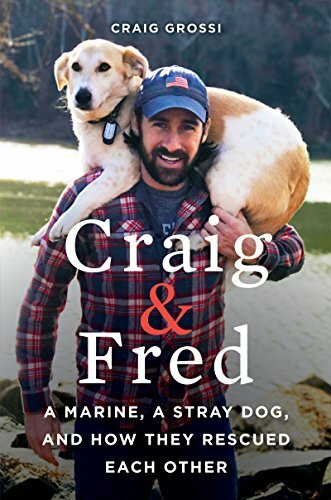 One of the most uplifting, emotional and wonderful true stories is of Sergeant Craig Grossi, the furry best friend he rescued in Afghanistan and how they helped each other to cope with PTSD when he returned home. Be it first responders, search and rescue, police officers, soldiers or detectives, canines put their lives on the line every day to keep our neighborhoods and country save. Both large and small dogs are public servants and we should be grateful for the services they provide us with each day.